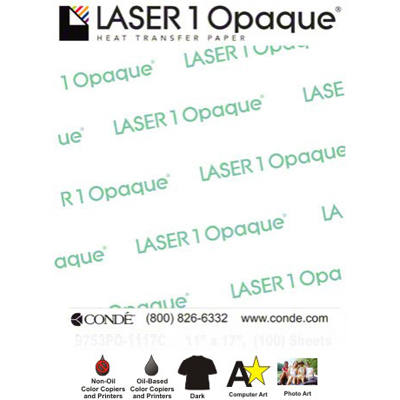 LASER 1 OPAQUE® Heat Transfer Papers are designed for both oil and oil-less laser copiers and laser printers for the heat transfer of high-resolution photographs and images to dark T-shirts, sweatshirts, mousepads, coasters, puzzles, handbags, binders, paper, leather, magnets, wood veneer, nylon and more. 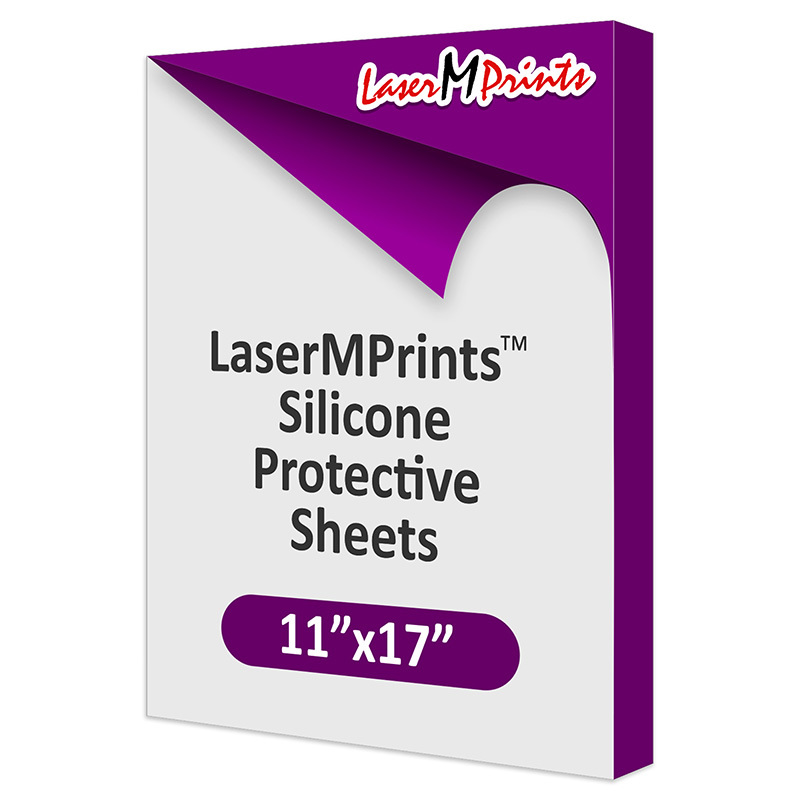 Choose garments that have a tight weave. This is particularly important when transferring to sweatshirts. 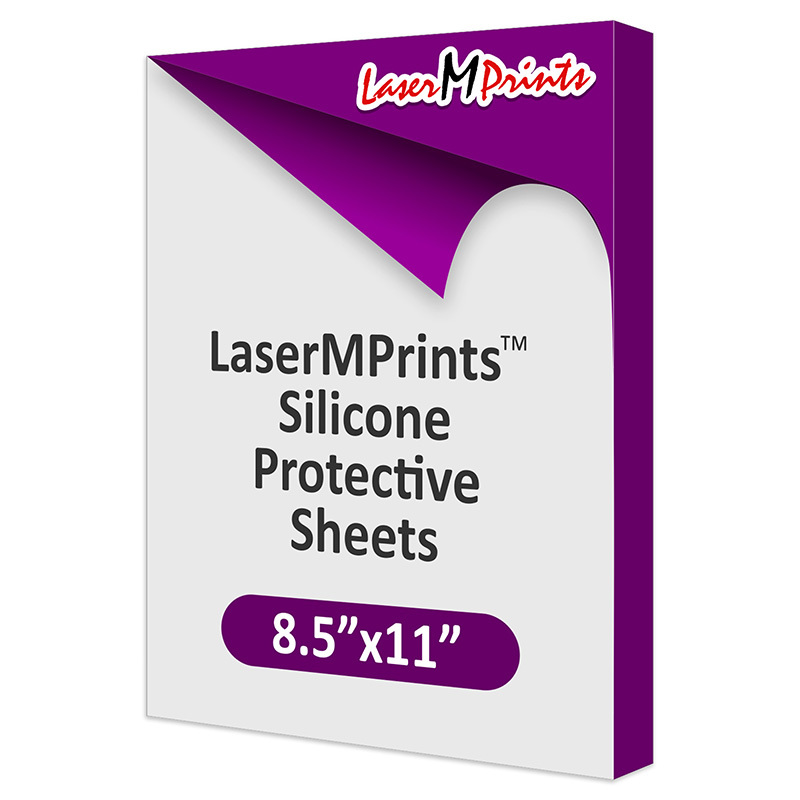 Compatible with ALL Color Laser Copiers and Printers that run at 35 pages per minute or less.